Georgine women's feather eye mask is hand painted and glittered. 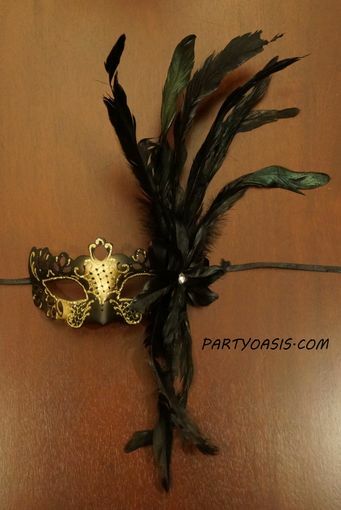 This mask is a comfortable fit and comes with black ribbon ties. Mask comes in three colors to choose from.